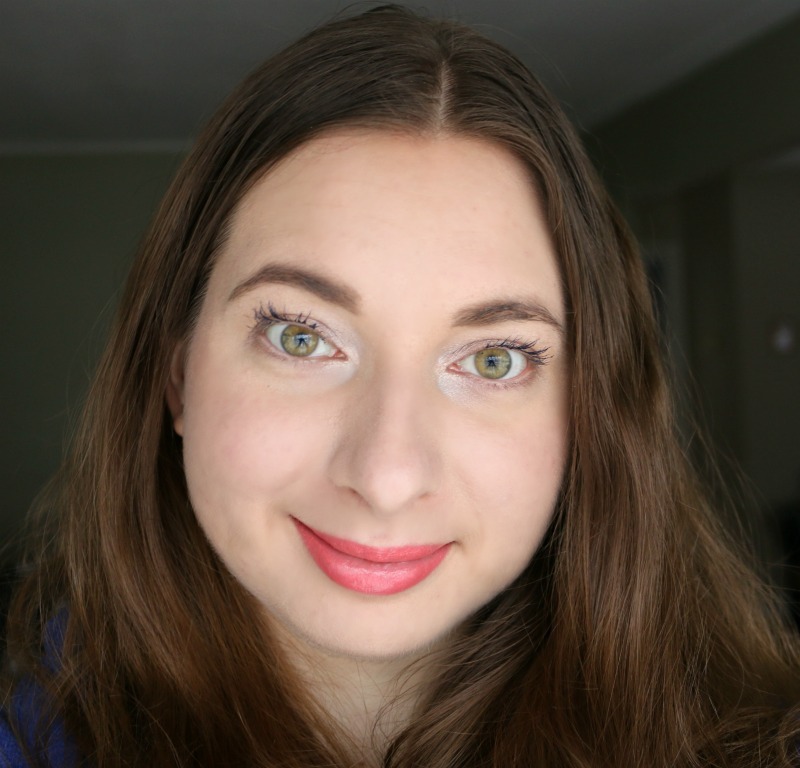 Valentine's Day is right around the corner, and I'm jumping on the bandwagon and sharing a quick and easy glowy makeup look using products from one of my favourite brands, Glo Minerals! I love how my last Holiday Makeup Look turned out using their Bold Pursuit Collection, and I got to pick out some new-to-me products to play with for this look, pairing them with some old faves. For my base, I applied a layer of the Glo Minerals Luxe Liquid Foundation* in the shade Naturelle with the Luxe Foundation Brush* (both reviewed here). To cover my dark circles, I used the Luxe Liquid Bright Concealer in Brighten. 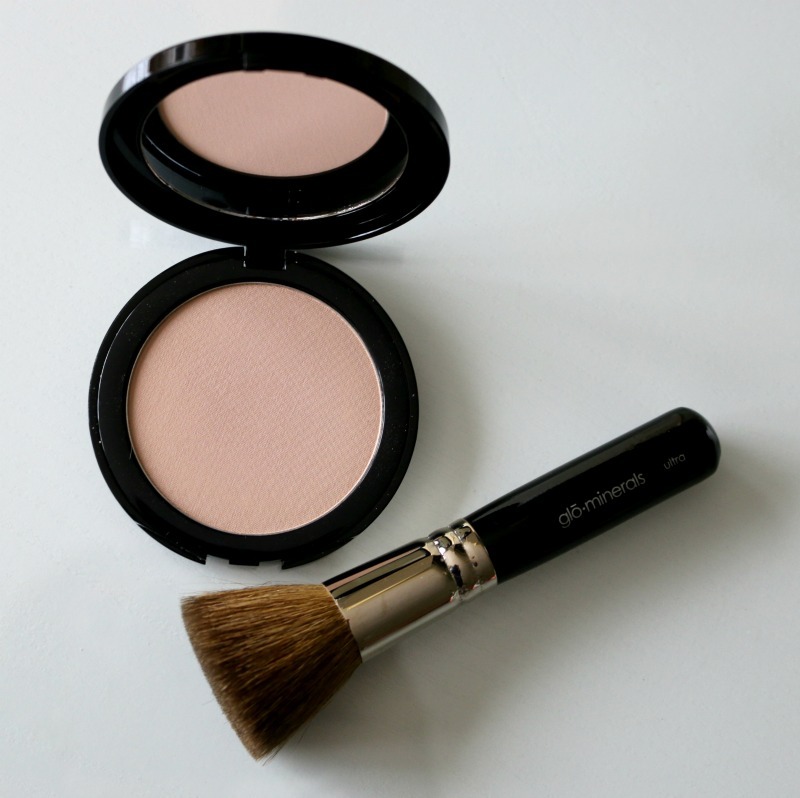 I then dusted some Glo Minerals Pressed Base in Beige Light* on my face using the densely packed Ultra Brush*, focusing on my t-zone for extra coverage. I'm all about that glow, so of course I couldn't resist adding some shimmer! On my eyes, I opted for the Limited Edition Glo Minerals Shimmer Duo in Candle*, applying the pink-toned highlight all over my lids and focusing the gold highlight in my crease and right beneath my brow bone. On my cheeks, I used the Blush Duo in Garland*, placing the pink shade on my cheeks and dusting some of that gold on top using the Glo Minerals Fan Brush*, which allows for very precise application. 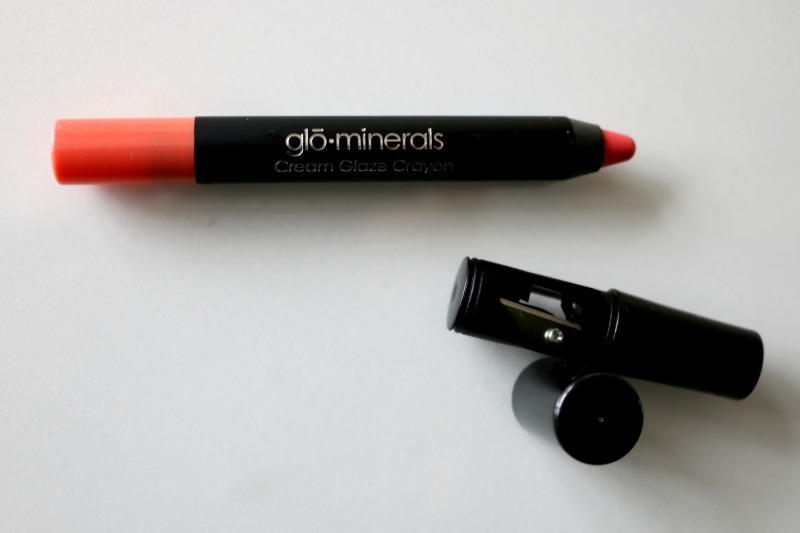 On my lips, I went with the Glo Minerals Cream Glaze Crayon in Mimosa*, a pretty pop of coral. This applies like a breeze and offers really nice pigmentation. The formula is on the stickier side, but is also long-wearing which makes up for it. This product comes with a sharpener on one end too for convenience. And here is the completed look, fresh and glowy! 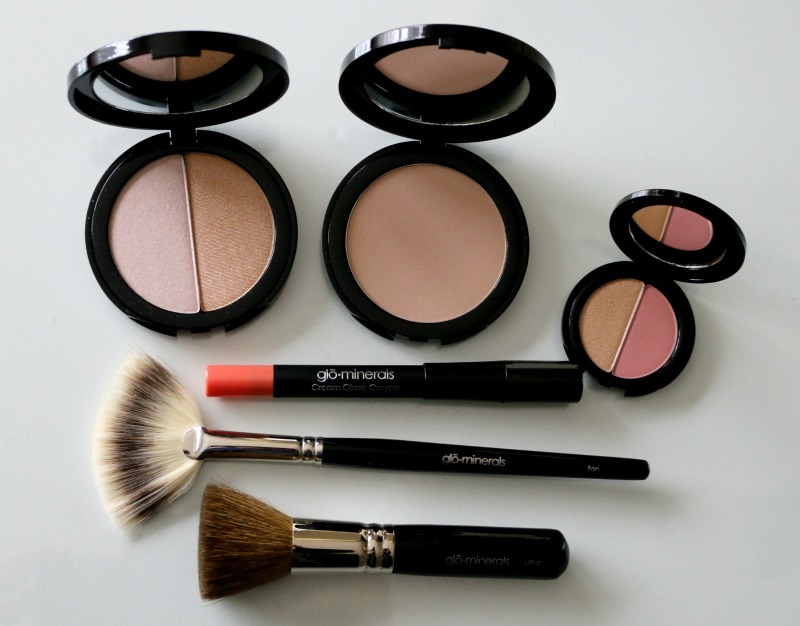 Have you tried anything from Glo Minerals? Let me know what you think of this look! love all the shades! so pretty! Urghhh! Make up is insanely confusing to me! I found another Canadian blogger ;-) I haven't dived into the world of glo makeup just yet but those palettes are sooooooo pretty!! I'm addicted to that shimmer duo! Love how the makeup gave you fresh glow! I've never heard of this company but excited to look into it! Love these beauty goodies! Fab colors, always looking for new products...these look perfect! Lovely neutral colors. They give a nice natural look for Valentine's Day. Great advice - we use Glo Minerals too & we love it! I love mineral makeup and I'm always looking for ones to try. Thank you for sharing, I will have to try this soon! Pink is a big color for spring! Lovely. I love the cream glaze crayon in mimosa! Such a fun color. I will have to check out this line. I am in need of some new makeup. I've never tried glominerals, but his looks awesome! Your makeup looks so natural and I love it! First time I heard about Glo Minerals. It looks like the kind some people use to achieve that "no make up" make up look. I don't use make up that often but I know my daughter and niece would love to try this. Great swatches! These shades are so pretty! Perfect for Valentine's Day! Happy Friday! I have not tried glo minerals but have heard a lot of good things about it. The shades are perfect. It looks good on you. I love that look, it's simple and not overdone. It's definitely perfect for Valentine's Day! 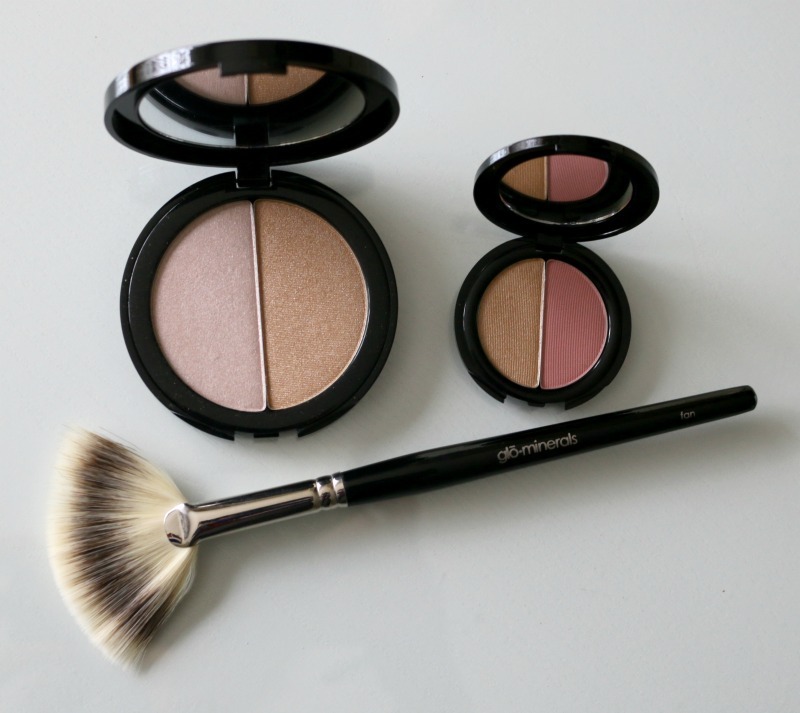 I've never used any Glo Minerals make-up before! It looks really lovely! You look stunning with this brand. I need to check out some of the products you use for a fresh glow for myself. You look beautiful. These are great colors. I need to look into these for my daughter. Thanks for sharing. I've been wanting to try those products for awhile, they look so fresh and natural on you girl!